[xuv = exuvie / exuvia / exuvium] Exoskeletons of Julien Deswaef. Portfolio of projects. 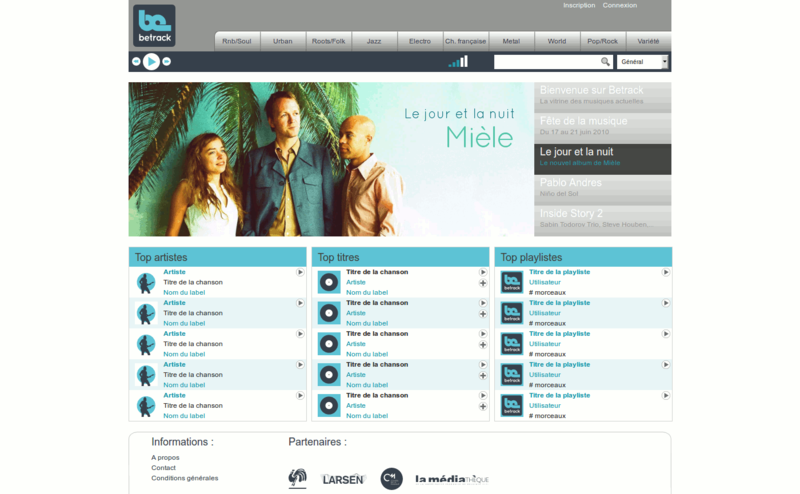 Betrack was a project by the non profit organization called Larsen Musique. 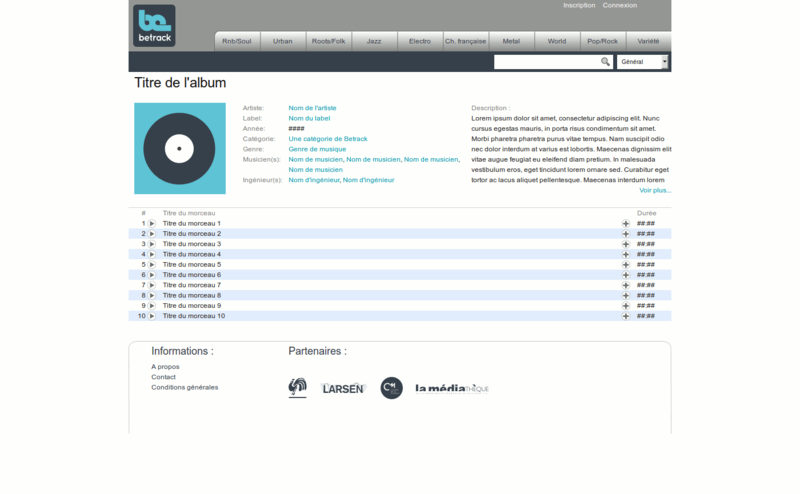 It promised to be the reference for contemporary music from the French speaking Community of Belgium. It would have been a digital music catalog, available to the public, freely accessible and making song available through streaming technologies. And later one, it was planning to be the musical catalog of Belgian music. Regarding its functionalities, the site contained thousands of high quality musical tracks (320 kbps), grouped in albums and offering navigation using multiple and extensive criteria (music genres, group name, musicians, sound engineers, labels, producers,…). Registered visitors of the website had the possibility to create play-lists of their choice and publish them on other websites using a ad-hoc embed code. This project required the creation of the logo, the design of front-end and back-end for the website, plus its implementation. The development was done in collaboration with Éric Grivilers from Caravane Média.